Over the past five years, we’ve seen an alarming amount of server and IT infrastructure damage caused by frigid winter conditions. When temperatures drop low enough, water pipes inside buildings can burst, causing facilities issues with power and Internet access, as well as damaging computers, servers, and other technology vital to your daily operations. 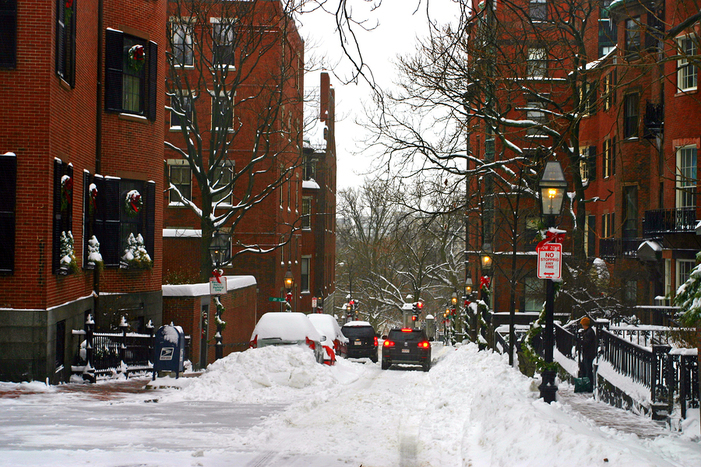 With a record winter in the Massachusetts area this year, we’ve seen firsthand the extensive costs that arise when a building-wide emergency occurs but there’s no business continuity or disaster recovery plan in place. During one of our famous snow storms and sub-freezing weeks this winter a water pipe burst in a local Cambridge building, flooding the lobby and several suites. The electrical infrastructure was crippled for several days, internet service providers were down, the lobby and offices flooded, and the building management scrambled to get the multiple problems solved. While the situation was costly for all companies in the building, the companies that had the business continuity systems in place to make a quick recovery experienced less of an impact on their daily operations. Those companies with no plan in place had to absorb longer downtime and scramble to get their IT systems available. Since IT is such a critical part of every business (most modern businesses couldn’t function at all without some form of technical infrastructure), there’s no question that having a plan for accessing your IT systems in emergency situations is imperative. Whether your server room receives damage from a burst water pipe, a fire, chewed wires, or a downed electrical grid, it’s too costly be caught unprepared. By clearly laying out which systems you need in order to remain operational–and which systems you can live without for a couple of days – you lay the groundwork for business continuity in the event of an emergency. Once you know which systems are mission critical, it’s important that you have a clear map of where each of those systems live. For instance, where does your electronic notebook system (ELN) live? What about your chemical registration database? If you need to access these systems in a prolonged building or service provider outage, then have a plan for how you will access them if the electricity is down or if there is damage to your servers. Map out (on paper) where they connect to your larger IT systems, which systems require backup, and which recovery methods you’ll use to access them when needed. When it comes to preparing for a disaster that may or may not ever happen, it’s easy to procrastinate. Most days, it’s tempting to think, “this kind of thing would never happen to us.” And that may be true…until the day that it’s not. The vast majority of businesses will experience a significant business continuity interruption at least once, and for companies that are unprepared, it can be costly. Many executives wait until it’s too late to think about maintaining business continuity in emergency situations. The blow is significant when you consider the costs associated with data loss, business downtime, and replacing damaged equipment. After you’ve mapped out your IT infrastructure, put your emergency plan in action by testing the plan for the IT systems you can’t function without. Consider how you would recover your data and mission critical IT systems. By following steps 1-3 again with the mindset of “long term disaster planning” instead of just a “continuity” fix that can hold you over for a few days, you set yourself up for success, regardless of what disaster may come your way. With so many options available for business continuity and disaster recovery planning (including many not mentioned in this post), we know it can start to feel overwhelming on top of your day-to-day business operations. It’s not a quick or simple task to map out your critical business systems and research which backup methods are necessary, cost-effective, and secure. Working with an IT partner can provide the guidance, support, and peace of mind needed to keep from putting off your emergency planning one more day. If you’d like more information about working with an outsourced IT partner, download our free eBook: The Ultimate Small Business Guide to IT Outsourcing.